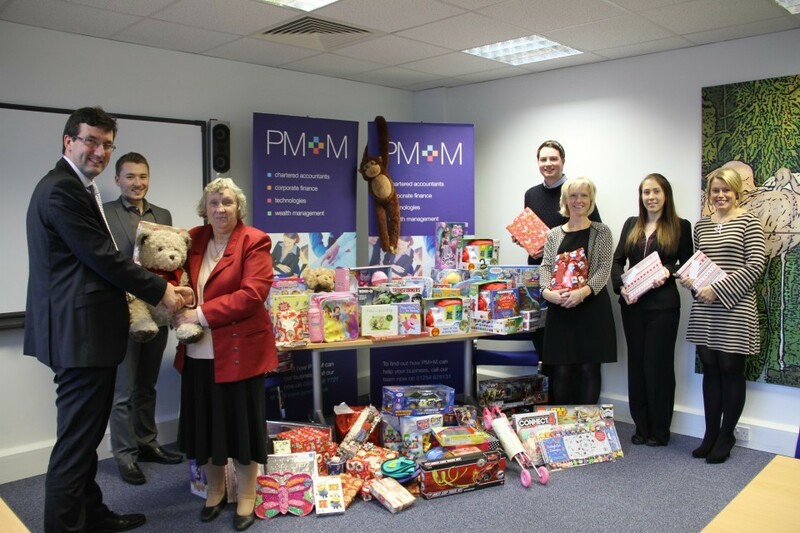 PM+M asked staff, clients and friends to donate toys and gifts which were presented to Blackburn with Darwen Council’s Children’s Services team to share with struggling families. Also donating to the appeals are Ivy Street Community Centre, Argos, St Silas Church, St Bartholomew’s Church, Church of the Saviour, Darwen Lions and Hollins Grove Congregational Church. The campaign has been running alongside appeals to staff working at Blackburn with Darwen Council asking them to donate presents and food for less fortunate children and their families via the Christmas Wishes Appeal and Blackburn Foodbank. Council and Capita staff are also taking part in the annual Christmas collection for local charities Nightsafe, which supports young homeless people, and the Christmas Toy Store. Both charities have a real need for items ranging from tins and dried goods such as pasta and rice, biscuits, toothpaste, toothbrushes, deodorants, soap and scarves, warm socks, gloves and underwear. Presents for older children and teenagers are also greatly needed. There are collection boxes in Blackburn and Darwen Town Halls and the reception area at Duke Street. There has been a wonderful response from people who have donated to help families in need this Christmas. It is sad that there are so many people who need help like this and it is heartening that so many people want to do their bit and make the festive season a good time for as many people as possible.